Also, check out the 50 State Capital Rap by Educational Rap! 1. 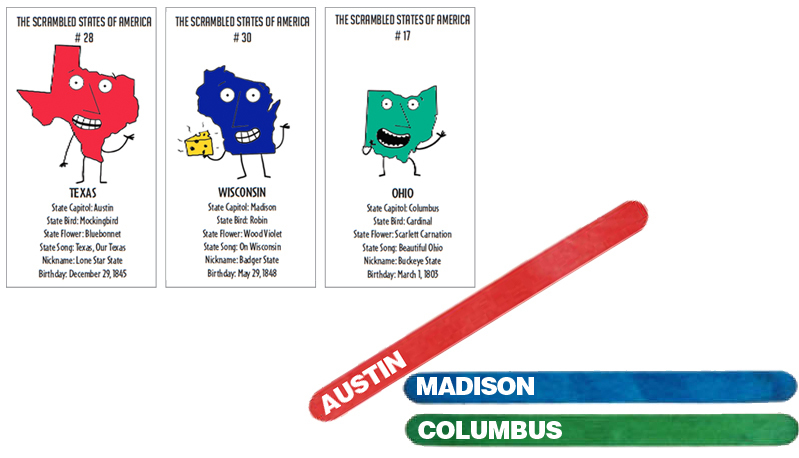 State Card Printables - Laurie Keller (featured) or nick Jr.